World War II was the most devastating military conflict that the world has ever seen. The interesting thing about this war is that it led to the creation of some of the film industry’s most iconic movies. Movies like Tora Tora Tora, Patton, and The Longest Day became cornerstones of the biggest titles linked to WWII. Since the days of those classics, countless other movies centered on WWII have been churned out. Some of them have been not so bad, while others have been not so memorable. 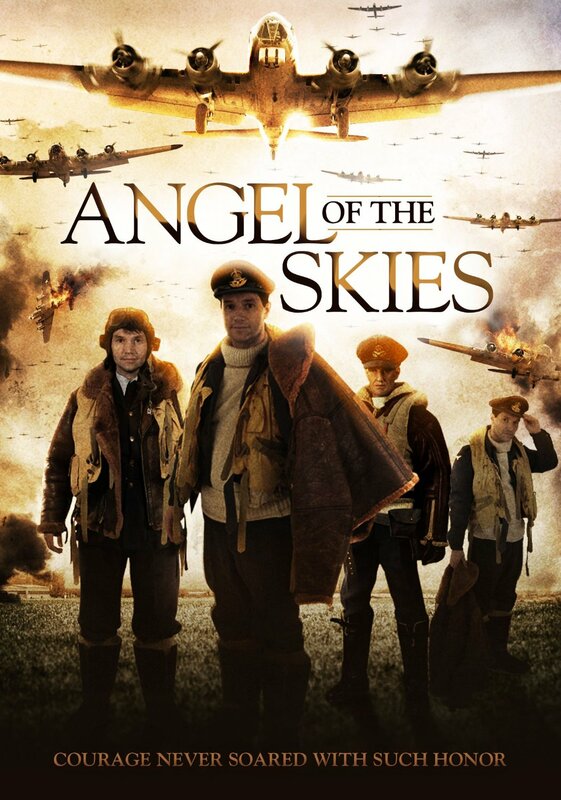 Entertainment One’s new WWII era movie Angel of the Skies is one of those movies that while it is an indie flick, is still one that is not so bad. Sure, there are some historical inaccuracies depicted in the movie. But the general story behind the movie is what makes it worth at least one watch. The acting on the part of the cast helps to make the movie worth at least one watch, too. And the same can be said of the early flight scenes and backdrops. All of it taken into account, Angel of the Skies is not as bad as some have already made it out to be. Angel of the Skies has received mixed reviews by some critics. The biggest criticism of the movie has been its historical accuracy. There are some issues with said accuracy. But one must also take into account that no movie ever based on historical events was one hundred percent accurate in itself. That being taken into account, it really is not that bad of a movie within its genre. The story itself is worth a watch first and foremost for the themes tied into the overall story. Writer/director Christopher-Lee dos Santos ties into his story, the themes of brotherhood, determination, and dedication. He does so in a way that none of the themes overpower themselves through the course of the movie. They actually work together to give the story an emotional depth that will keep viewers engaged through the movie’s near two-hour run time. The story’s theme of dedication works quite well in a dual role here. On one hand, the theme of dedication works as it is linked to the sub-story between Flight Officer Earl Kirk and his girlfriend, Deborah Caldwell (Lillie Claire—Supernatural, Suing The Devil) and to the dedication of the flight crew to one another after their plane is shot down. That theme of dedication among the flight crew directly compliments the script’s theme of brotherhood, too. Even in the greatest of odds, the men refuse to leave one another behind if at all possible, and will do whatever it takes to save one of their own from Nazi officers. In turn, that theme of brotherhood is directly linked to the theme of determination. The men were determined to survive and survive together at all costs. Each of these themes work together seamlessly to make a story that is worth at least one watch by any history buff and film buff. The interweaving themes that make up the script behind Angel of the Skies are central to the movie’s ability to keep viewers engaged. They collectively aren’t all to be considered. The acting of the cast helps to move the story along, too. The actors that make up the movie’s cast are largely unknowns. Despite that, they put on a believable performance. This is the case both by themselves and together. The men that make up the flight crew do quite the job in their roles. As enjoyable as it is to watch them take on their roles, it’s the vile SS officer Stutze that truly stands out in this movie. Stutze (David James) is truly ruthless in his attempts to locate the South African airmen and carry out his duties. Not to reveal too much, but he is so vile that he goes so far as to have his men kill a German milkmaid that had protected the airmen after they were shot down. This after he told her that everything would be okay. He even gunned down a defenseless American soldier early on as part of his character’s setup. The ability of an actor or actress to make his or her character that despicable means that said individual is more than doing his or her job in said role. If the combined themes aren’t enough to keep audiences engaged through the story, then that juxtaposition of character types and roles will definitely do its part to keep viewers engaged. The general writing and acting that comprise Angel of the Skies combine to make it a movie that is well worth at least one watch. They don’t work by themselves, though. The movie’s special effects and backdrops play their own role in making this movie worth at least one watch. Unlike so many other WWII based movies, this movie mixes CG with live action. The flight scenes are largely computer generated. It’s obvious where the computer elements were used, too. But at least they weren’t as cheesy as those used in the 2006 James Franco WWI flop, Flyboys. One almost couldn’t tell the difference as the bombers were flying into German airspace. The only times that one could tell for certain that computer graphics were used were when the bombers came under fire from the Messerschmitts and when the flight crew’s bomber crashed. The rest of the movie’s story was set against a live action backdrop. What’s interesting about the live action backdrop is that it didn’t feel as over the top as those used in some other WWII era dramas. It felt more real for lack of better wording. That is an area in which far too many movie makers get things wrong. Too many movie makers look for settings that will enhance their movies. And it only serves to lessen the movies in question to a certain extent. That isn’t the case here, though. That realistic feel combines with the movie’s writing and the cast’s acting to make it a movie that despite being an indie flick is still one worth watching at least once by any history buff and movie buff. It will be available next Tuesday, December 31st on DVD. It can be ordered direct from the Entertainment One website at http://us.eonefilms.com/films/angel-of-the-skies?lang=en-US. More information on this and other releases from EOne is available online at http://www.entertainmentone.com. To keep up with the latest sports and entertainment reviews and news, go online to http://www.facebook.com/philspicks and “Like” it. Fans can always keep up with the latest sports and entertainment reviews and news in the Phil’s Picks blog at https://philspicks.wordpress.com. This entry was posted in Books, DvD's and blu-rays, Internet, Movies and tagged Allies, Angel of the Skies, Axis, celebrities, Christopher-Lee dos Santos, David James, E1, entertainment, Entertainment One, EOne, facebook, Flyboys, internet, James Franco, Lillie Claire, movies, Nazis, Patton, Phils Picks, The Longest Day, Tora Tora Tora, Wordpress, World War II by philspicks. Bookmark the permalink. Thanks for the kind review. Appreciate it. Quite welcome. American audiences are so accustomed to a certain brand of movie if you will in terms of WWII based movies. So to me personally, any time another of the Allied Forces’ stories is presented, it’s a welcome addition to the many stories that need to be shared. So thank YOU for THIS story.